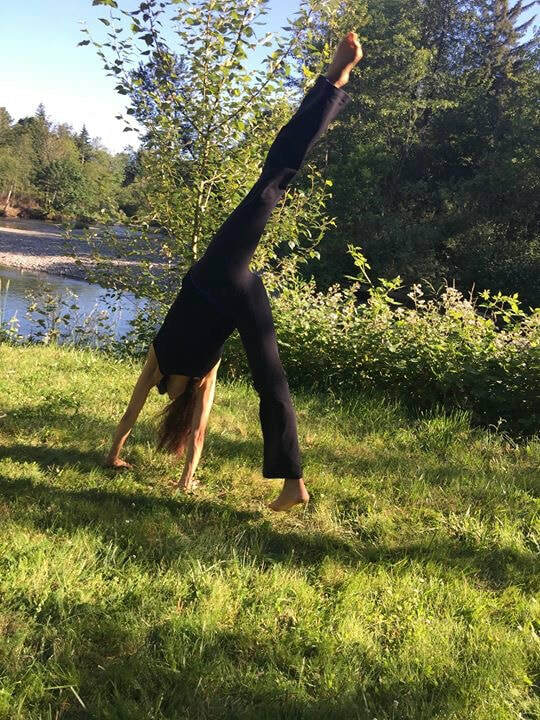 Cherene moving from Ardha Chandrasana to Adho Mukha Vrksasana. Cherene was drawn to yoga at a young age. She started attending her mother's classes when she was 8 years old and as a young teenager began to practice on her own. This led to serious study in her mid-teens. At 19 Cherene relocated to Seattle, WA to study with a Certified Advanced Senior Teacher, Aadil Palkhivala. She studied and apprenticed with Aadil for ten years and taught classes at his studio during that time. Cherene has been teaching yoga for 24+years. Though she has studied with many instructors, she considers only two to be her teachers: her mother, Michele Khouri, and Aadil Palkhivala. It is due to their wisdom, guidance, and love that Cherene is the person and teacher she is today. Matt Queen is always learning about yoga and is a teacher of yoga for the past 20+ years. He has had the great honor to study with some great, accomplished and respected yoga teachers mostly from the Krisnamacharya lineage. He spent time in India studying with Yogacharya BKS Iyengar. Matt studied with many senior Iyengar teachers including Manuso Manos and Aadil Palkhivala. Matt spent 5 years with Aadil including apprenticing directly with him for a few years. He is eternally indebted to his teachers. As a gifted teacher with an extensive knowledge of yoga, Matt shares his teaching with a sense of humor and ease. Matt pulls his inspiration from his practice and explorations of Yoga seeing its thread through many aspects of life.